Welcome to Jack’s Auto Service in Grand Rapids, MN. For Auto Repair & Expert Service, Count on Jack's Auto Service in Grand Rapids, MN. Jack’s Auto Service offers full-service auto repair for domestic and import vehicles. 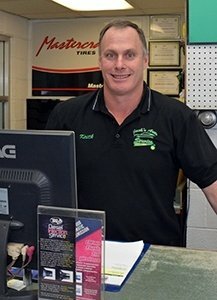 Since the 1980’s, we have built a reputation as a leading auto repair facility in Grand Rapids, Minnesota because we offer quality workmanship, affordable auto repair, and preventive maintenance to keep your car in working order longer. We boast a team of highly-skilled, experienced, ASE Certified auto repair technicians that use state-of-the-art diagnostic equipment and tools. We believe that new technology isn’t any good if the auto technicians don’t have the experience; that’s why our team studies to keep current with automotive trends and tech standards. In short, we go the extra mile to make certain your vehicle is repaired the first time correctly, and we stand behind our work. Jack's Auto Service provides safe & dependable light-duty towing and roadside assistance for cars, trucks, SUVs and vans. We are a tire dealer representing many major tire manufacturers. Jack’s Auto Service carries new tires for nearly all makes and models of cars, trucks, vans, SUVs, trailers, and off-road vehicles. Jack’s Auto Service excels at wheel alignments. We get a lot of requests for wheel alignments from other shops that cannot do it themselves. We are experts in Air Conditioning service. If your vehicle’s A/C system isn’t keeping you cool, we are excellent at diagnosing A/C issues. Jack's Auto Service Warranty is 2-years / 24K-miles parts and labor + a lifetime warranty on certain parts. We offer a six-month interest deferred financing option for repairs over $300, with application and approval. “Friendly service station that dealt with a mechanical issue on my car quickly. Fair prices, VERY NICE people - thank you all.” -- Andrew P.
If your personal automobile or fleet is in need of maintenance or repair, we invite you to Jack’s Auto Service. You can trust our friendly and experienced staff to get your car, truck, minivan or SUV driving its best!